Did you notice these photos in a recent blog post on the washer/dryer table project? Me using a smoothing plane. Me using a Kreg pocket screw jig. 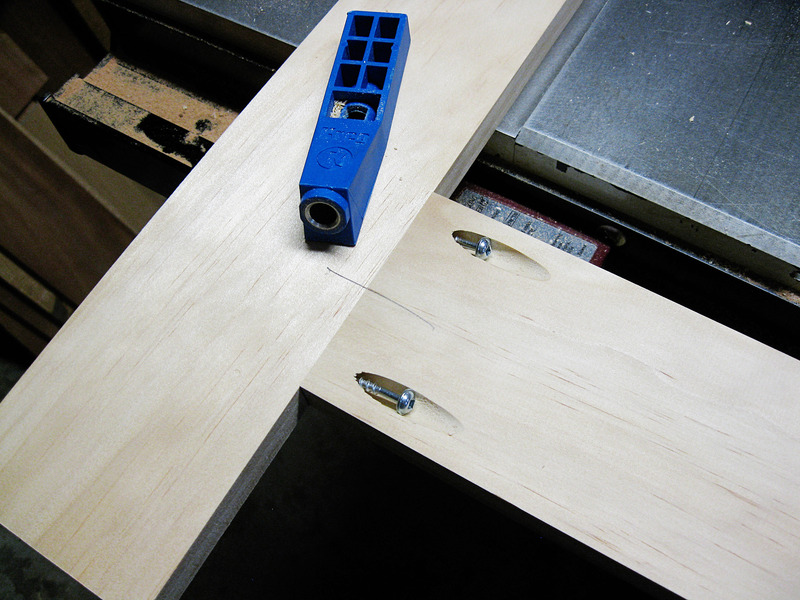 Photos of a Lie-Nielsen smoothing plane and a Kreg pocket screw jig both in the same blog post. These two photos are indicative of a struggle which is going on within me: continue to move forward learning more advanced woodworking skills (ex: the hand plane) or revert to a more simple style of woodworking (ex: pocket screws). And I am serious. I struggle with this. I have even been thinking of nailed furniture projects. Like nails and glue; the most basic form of joinery that exists (actually, leaving off the glue would be even more basic). Of course, I would design furniture which would be robust even with such rudimentary joinery. I am really curious if people even care. When I post a photo of a completed project on Facebook, I get a lot of compliments. 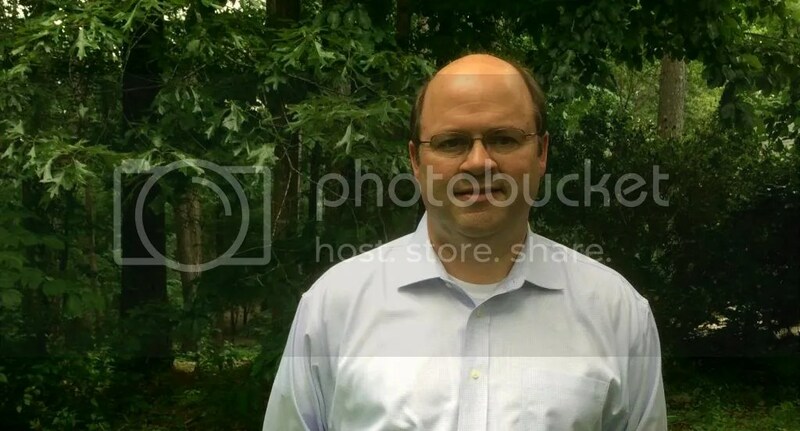 My high school and college buddies who see the photos assume that I am turning out a quality product, but there is not the first question about how it was joined. In all the thought that bounces around in my head on this subject, keep in mind that quality is still the goal, quality materials, quality finishing techniques. But I have to wonder: can I meet the public’s expectations for quality without hand cut dovetails in the drawers I make. Chris Schwarz gets a lot of the blame for the mental anguish I feel. And there are others. Suffice it to say that if you are a woodworker who uses a shooting plane to trim boards, then you are an enabler in my woodworking guilt. But, back to Chris Schwarz. I recently finished reading his landmark book, The Anarchist’s Tool Chest. It took me about two years to read it. I like Chris Schwarz and I like this book, but it did not cause me to shed tears of joy like some have seemed to do. It has caused an internal struggle about my future as a woodworker. There is a part of me which wants to do very high quality work, and there is also a need to do more work. Instead of taking the better part of a year to complete a serious project like my window seat bookcase, I’d like to complete it in three months. In The Anarchist’s Tool Chest, Chris writes about building to a high level. He calls it “bomb proof” woodworking; the kind of woodworking where hand cut dovetails and hand formed mortise and tenon joints lead to extremely durable furniture. There is a particular bedside table in our home. I made it about 25 years ago and it is rocking along in fine shape. There is not one dovetail in it and the frame and panel construction is accomplished with stub tenons which fit into shallow slots; much like what is typically found in production cabinet doors – not true mortise and tenon joinery. 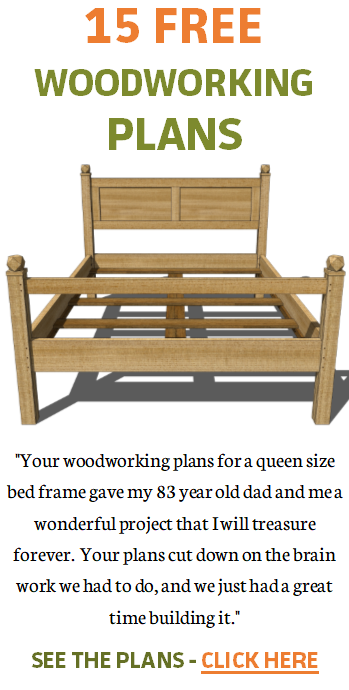 I also see other woodworkers creating projects quickly using pocket screws and biscuits or dominos. I want to make furniture quickly too, but hand work is not quick; at least not for me. I find it interesting that Fine Woodworking has totally endorsed the use of pocket screws (“fast and super solid” joinery) while I suspect that Chris Schwarz hates them (update: see the comments – Chris does not hate pockets screws). If ever there was a competition for fast and easy joinery, pocket screws would be the champ. Note the joinery in this media cabinet – dadoes. But I am thinking about pocket screws (click to enlarge). The image above is indicative of the struggle I am experiencing. In the media cabinet woodworking plan I am creating, should I use the more traditional dado joint (shown in the image) or super fast pocket screws? After all, there will be the weight of a TV and A/V equipment to consider. I suspect that my future will be a mixture of all the above – pocket screws as secondary joinery with an emphasis on power tool joinery; and baby steps towards more hand work. But the need to make more furniture is strong. I’ll bet there are ten woodworking projects floating around in my head. How to deal with all of this is a real challenge. I think it’s all personal. Not to defend “the one who shall not be emailed” but he said recently how he’s not a joinery snob. I think if pocket screws make sense, use them. Beyond that, it’s whatever you want to do. I’m learning how to cut dovetails by hand because I’m ready for another challenge & I get bored easily. That Jay Bates guy exclusively uses 2x4s & pocket screws; I couldn’t do more than a few projects like that. But he’s happy, so good for him. And nails are perfectly fine. The “email-less one” is always promoting cut nails & the like. Heck, he has an ATC build video where he uses a nail gun to tack in the tool rack. I really enjoy hand work but I also own a table saw, band saw, router, & planer. I would keep building & maybe slide in a m & t where you can or a dovetail drawer. Or not. That cherry bench looks awesome. However it’s held together. And people like Jay Bates are not helping. Good on him for the success he is having; the money he is making, but I am trying to move beyond 2 x 4 projects (no disrespect meant towards him). At most, I may chop a mortise or two by hand, but I definitely bought my the fence accessory for my plunge router with mortises in mind. Good comment. All that is OK,but please ,NO Computer/CNC.Please! I think pocket screws are great for attaching pieces such as cleats for keeping a case square, and for any non-structural joint. 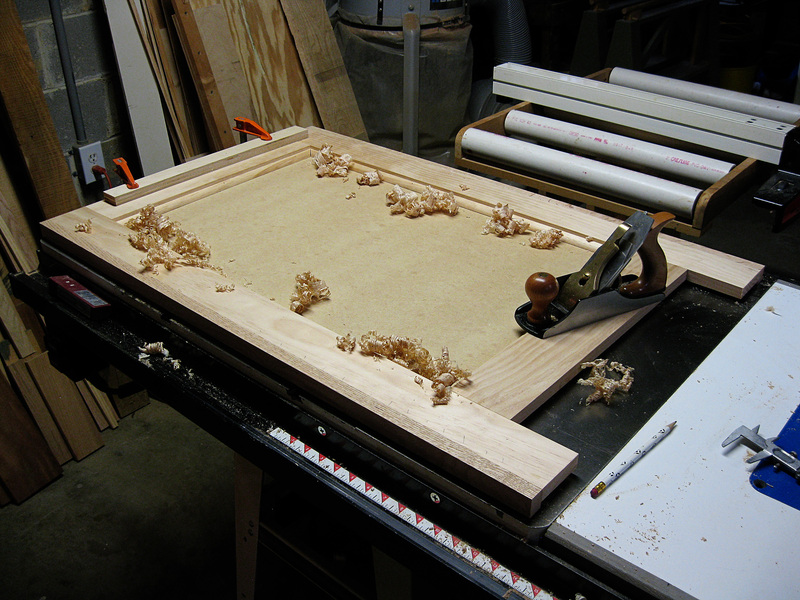 If done correctly, they can also be used for attaching table or case tops. I’ve used them to make face frames and I think that is their best application. I don’t know about using them in place of tenons. But I’ve seen studies which suggest that pocket hole joints are comparable in strength to tenons. For me, the tenon leaves out any uncertainties. I try to use traditional joinery wherever possible, but how I make those joints will vary from project to project. If I need to saw just two tenons and chop two mortises I’ll probably do it by hand; 10 joints and the table saw and router table are being used. 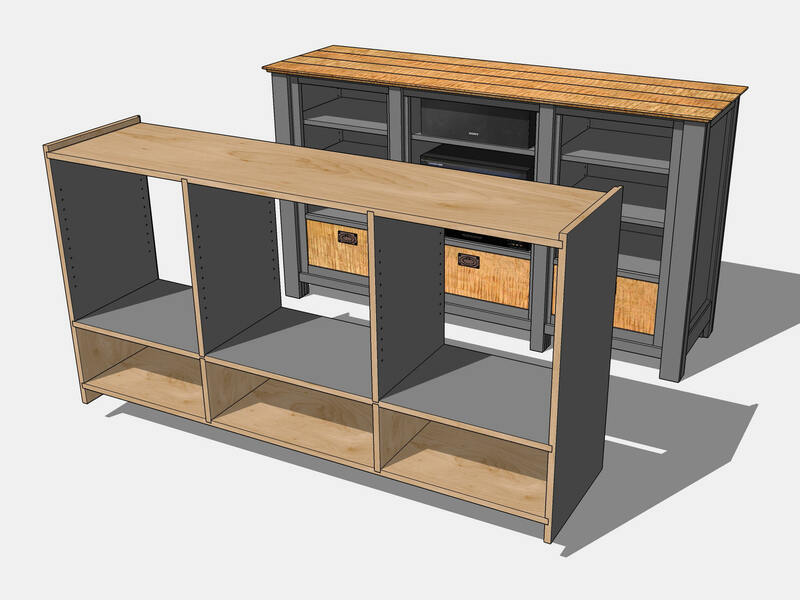 Like you, I woodwork not just because I enjoy it, but because I want to build and complete actual furniture. I enjoyed the ATC as a tool recommendation guide, as well as a bit of a personal glimpse into the mind/philosophy of one woodworker, but as an overall guide to a woodworking philosophy I don’t think it will work for most woodworkers. Unless you make your living at woodworking, or are either retired or wealthy enough to not work, the time needed to dedicate to that style of woodworking is just too far out of reach for most of us. If it took the woodworkers of old 10 years of woodworking 60 hours per week to become accomplished, how is the guy who has 6 hours per month supposed to follow that same guideline? For me it comes down to this: if you like making furniture, do it in whichever way makes you happy. If that means pocket screws, or chopping 3 dozen mortises by hand, that is nobody’s concern but the guy doing it. Bill, good points. I use pocket screws too, and much in the same way you talk about; but I am at a point where I resist using them at the expense of speed. The good news is that pocket screws are bringing new people into woodworking because the joinery is so simple and eliminates a lot of expensive power tools; or hand tool skill. I think I spend the better part of each project deciding how to join. I like pockets where I can cover them and don’t hesitate to do so. But I am also a beginner, not a true woodworker… yet. Your instincts haven’t seemed to let you down yet. Whatever you decide will be right for you!! Don’t get me wrong, I like pocket screws, but feel the need to simply do the joinery which pocket screws typically replace. It is just time to take the next step. But I also feel the need to make furniture with more speed and that is where pocket screws are seductive. Thanks for the comment. He doesn’t hate them. He just doesn’t use them for fine furniture. I think that, in order to get through this rough patch, you need to set yourself a single overriding priority for each project. And by that, I mean, is the project functional where getting it done is the priority, is the project a learner, where the learning is the priority, is it a method project where immersion in the doing is the goal, or is the project an “heirloom” where the finest work is the priority? Then simply base your work methods on the priority. I realize that it’s probably easier said than done, but each of the four priorities is in some tension with the others. The biggest conflict is between “functional/speed” and “learning.” When setting priority/picking projects, keep in mind the role of project size/complexity. Biker Dad – I am glad to know the Chris does not hate pocket screws, his book certain lead me to that conclusion, and thanks for the link. And good points about setting priorities. I have already begun the process of working an easier project into my future line-up just so that I can get a sense of completing more work. I tend to tackle big projects repeatedly. Little victories can be important. Sometimes, you can do something fairly simple like the Beer Carriers or a small shop project. I understand your struggle. I have decided that I care more about the final product and how it looks and endures than whether I made it in a traditional manner. As an amateur I want to get better at what I do but at 66 I really don’t have the time left in my life to master enough hand skill to produce what I want to make. Maybe if I had started woodworking at 20 instead of 45 it might have been different. Miriam, thanks for the support. I have this inner voice which is nudging me towards hand work and I keep fighting it because of the learning curve. Oh … and I love pocket screws. Have the K5 now but started with their original K2 years ago. Pocket screws have let me build cabinets and tables that I might not have tackled otherwise. Congrats on owning the K5. Mine is a very early Kreg jig – small. 🙂 Kreg has made it possible for a lot of people to get a taste of the satisfaction of making your own furniture. Jeff, I think it is the journey that you want to take. Some projects may call for the “interstate highway” approach. But if you want to enjoy the scenery along the way, then traditional woodworking is the approach. There are times when the joy of working the wood is more rewarding than the end project that I am going for. Sometimes I like to clamp a piece of wood in a vice or my shaving horse just to plane it or use the drawknife without ever putting that particular board into a project–just the feel and the sound of a hand tool working on a piece of wood. Kinda like my enjoyment of making quality sawdust at my table saw for no particular reason. Vincent, thanks for stopping by. I know a little about the satisfaction you speak of. The oak in the photo above was interesting to work. Getting nice shavings is fun. Very nice. I imagine that hand planing is hard on the arms. I love handmade wood items. I never realized the beauty of wood until my husband started woodworking. My favs.. purple heart and zebra wood. I totally understand your conundrum. I think tools all have a place in time whether they be powered or not. It is just a matter of what is the best tool for the job at the time that you actually own. There is nothing like the pleasure one gets from the hiss of a sharp plane and a sharp one is a joy to use. But if I need to remove a lot of tough Australian hardwood fast my electric hand plane does the job, not with any thing that could be called pleasure, but it the result I am after. I also love my comically large slick from Barr tools and dominoes are very handy. As far as things built, I built a book shelf 20 years ago from cheap pine from the hardware with nothing but a saw, a hammer, PVA glue and nails all the joins were but joins glued and nailed. The face frame was also just nailed on along with off the shelf molding. It looks fine and is still as sturdy as the day it was made and full of books. I have many more tools now not sure if I am making better things. I do enjoy it though and my kids will inherit some great hand tools. I think Maslov’s hierarchy can apply to woodworking also. I really wanted to make these drawers with dovetails – then thought – who is gonna see it but me, then thought why use all hard wood (for the drawers) if I am the only user – use plywood. Bill – nice cart. I agree with what you say that most people are not going to care about the joinery except that it is adequate. I keep feeling the need to do more with traditional joinery and that is my delima. Traditional joinery is going to take more time than what I can do with pockets screws. But just like with a recent table I built, pocket screws are hard to beat. Thanks for the comment. Bill, excellent tool cart! I can see drawers full of power and hand tools, as well as a resting place for some bench top power tools organized neatly on top. That said, “overkill” would be appropriate and very logical based on expected weight alone. You know, it may be helpful to realize that “the one who shall not be emailed” doesn’t seem to get hung up on any of this too much. I’m watching his new Build a Roorke Chair video right now, and danged if he didn’t just perform the measurement for laying out the mortises on the legs with a tape measure. If memory serves that’s in direct contradiction to his description of what the different measuring tools are for in The Book. I like and value what I learned reading it. I’m focusing on unpowered hand tools right now because it’s what makes me happy, right now. I’ve sworn no oath to always do so, and when my tool kit fails to provide me with the right tool for the job, I have no problem switching to a power tool to do the job, if I have one. For example, for long ripped curves I grab the jigsaw. I don’t have a bow saw, and refuse to believe that the coping saw was ever intended to rip cut more than 4 inches. Whatever makes this hobby (for me, this is just a hobby: I’m not making any money from any of my projects) enjoyable is what I do, and what I’d advise others to do also. Wesley, thanks for your thoughts on this. I agree with what you say. My goal is to use hand tools vs. power tools where they make more sense. I just came up from the workshop where I used my smoother and block plane to fine tune the joint between two boards. I guess what I am getting at here is the need to do quick work which power tools and modern joinery techniques help that. But, I don’t want to sacrifice modern joinery for more time consuming (while I learn) old school joinery. I did enjoy working the wood with my planes. So that make me want to learn more, but I really need to get to my next project. Yes I can sympothize with your conundrum. Being a power tool woodworker for 40 years, now retiring to enjoying the peace and quiet of carefull hand work . We love the craft and enjoy progress of our labor too. Have you followed any of Paul Sellers videos on hand tool woodworking? Hand Woodworking made simple by just getting to it by the basics, accurate marking out, cutting to the line , paring where needed, and not worrying too much about the commercialized machine world. Enjoy the craft and find the joy of working by hand and eye rather than jig and machining. If your not making these projects for $$$ relax and enjoy the pleasure of hand work . I have seen a few of Paul’s videos. I should take the time to watch more of them. Part of my problem is the projects I build tend to be big ones. I need a smaller, more basic project to learn hand skills on. Thanks for stopping by!